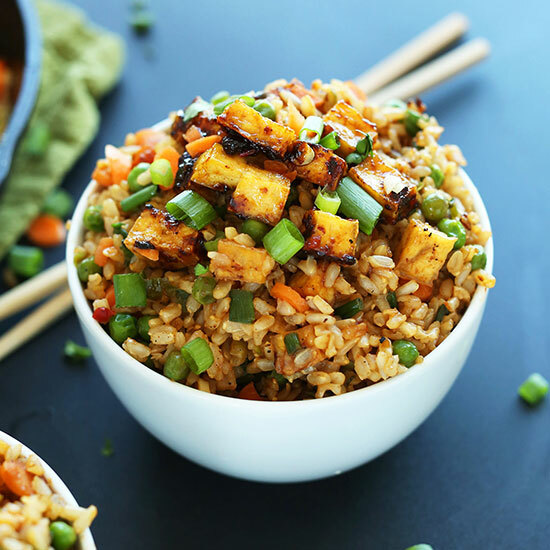 Easy, 10-ingredient vegan fried rice that's loaded with vegetables, crispy baked tofu, and tons of flavor! A healthy, satisfying plant-based side dish or entrée. Preheat oven to 400 degrees F (204 C) and line a baking sheet with parchment paper (or lightly grease with non-stick spray). To the still hot pan add garlic, green onion, peas and carrots. Sauté for 3-4 minutes, stirring occasionally, and season with 1 Tbsp (15 ml) tamari or soy sauce (amount as original recipe is written // adjust if altering batch size). *If you don't like tofu, you can sub 1 cup fresh or frozen edamame - add in with vegetables. *For the rice, you can also substitute a comparable amount of quinoa. *Rice cooking method from Saveur! Literally, the perfect brown rice. 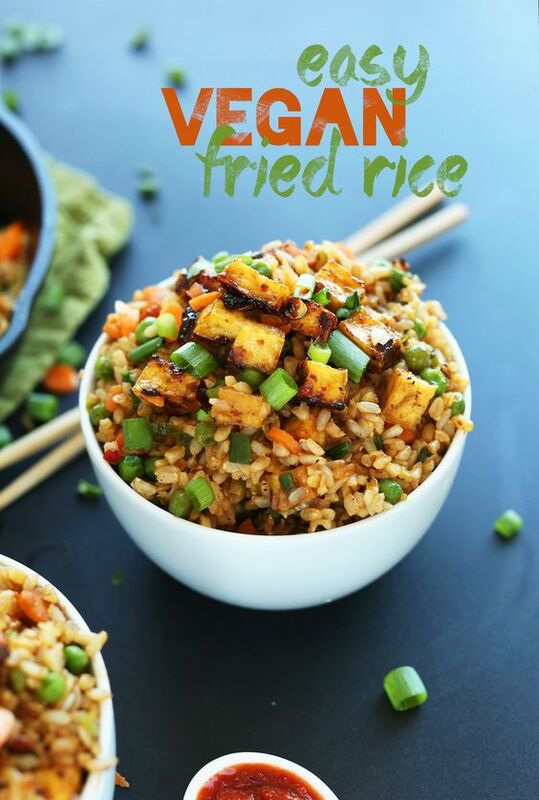 0 Response to "EASY VEGAN FRIED RICE"